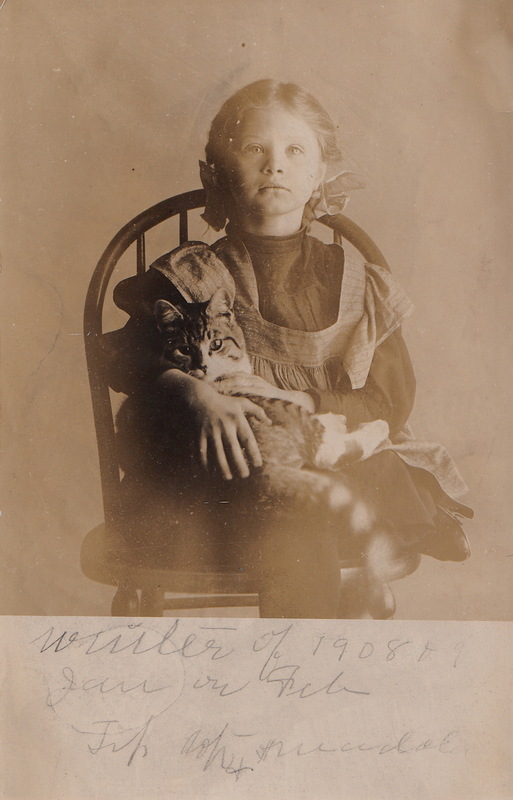 This pair of photographs, taken with a postcard camera in the winter of 1908, documents the friendship of Tabby, a handsome young cat, and Maddola, a little girl whose last name is lost to us. Tabby is completely relaxed about having his portrait made, and I like how he looks directly into the camera even when he is in Maddola’s lap. These were taken at two different times, almost undoubtedly at home. The scribbled message on the second image seems to be information to remind the photographer about the technical circumstances of the pose. Unfortunately, this friendship was cut short. A note on the back of one of the cards reports that Tabby died at the age of one year and eight months. 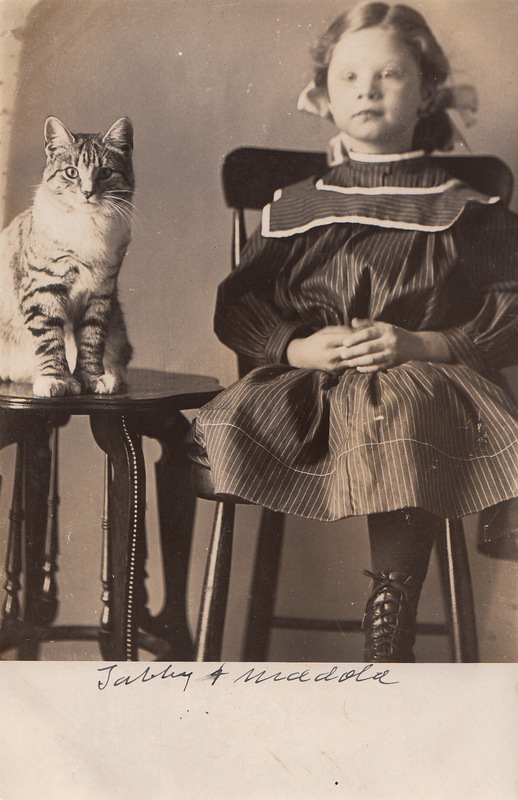 From the appearance of the cat’s paws on the stool, it seems to have extra toes. I forget the particular term for this. Polydactal?